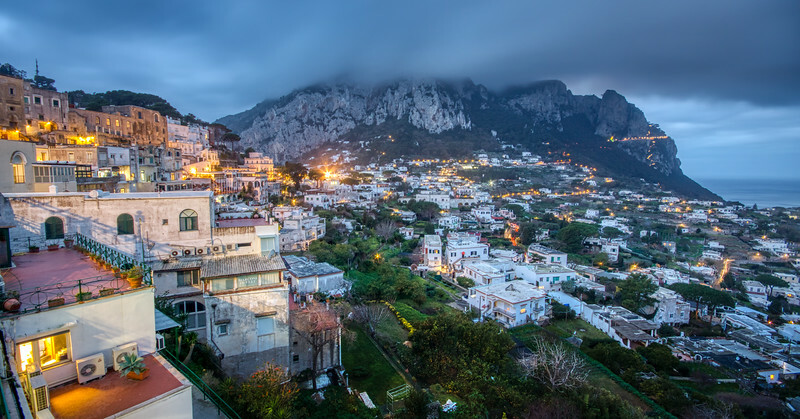 Capri in Italy is an amazing place! I was there when the weather wasnt perfect - but this made it even more awesome. See the cloud on top of that mountain in the back? That cloud was so low at one point that it felt like you can touch it just by stretching a little bit. Oh, I also climbed that mountain by accident, but thats another story.